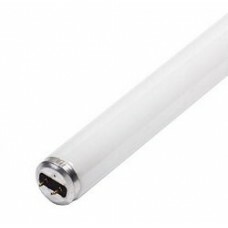 20 Watt - 1 1/2" T12 Tube - Medium Bipin Base Length 24 inches - Black Light Bulb Used for technical or pet lighting puposes. Do not confuse with blacklight blue. Special order, non-retunable. It is white when turned off. Philips brand.